Looking for a Thin Gauge Superb Fit Nitrile Examination Glove? Looking for a thin gauge superb fit nitrile examination glove? Our Flextreme could be your glove of choice. Available in steel blue color with a 5 mil fingertip, this glove offers excellent dexterity, for taking a pulse. 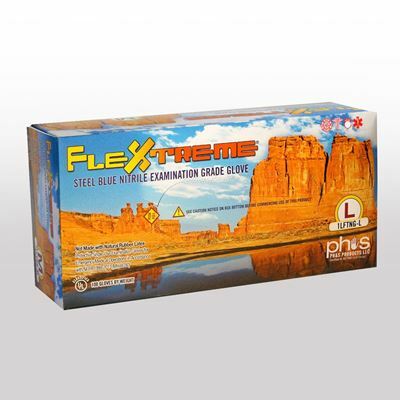 Flextreme gloves meet UL standards of tensile and elongation. The Flextreme series is manufactured using a formula that is Accelerator, Sulfur and Zinc Free, to help reduce skin irritations. Available in a 12” length.